Started this discussion. Last reply by Michelle Hutchinson Mar 20. Started this discussion. Last reply by Barbara Gordon Dec 17, 2017. Started this discussion. Last reply by Johanne Lang-Davis Dec 5, 2017. Started this discussion. Last reply by Lorelei Halley Administrator Nov 7, 2016. "Kathleen Welcome. Please read all the NOTES. They explain our policies, and how the software works. Join any groups that interest you. We do have groups for Beds and for torchon, and also one for bobbin tape lace. I have posted some free tape lace…"
"Liesl Welcome. Please read all the NOTES. They explain our policies, and how the software works. Join any groups that interest you. I especially recommend the BOBBINLACE BEGINNERS group. Its opening page has links to good online information. And we…"
"muskaan Welcome. Please read all the NOTES. They explain our policies, and how the software works. Join any groups that interest you. If you have any questions about this site, contact me and I will try to help." "Amy Welcome. Please read all the NOTES. They explain our policies, and how the software works. Join any groups that interest you. Take some time to explore. If you have any questions, contact me and I'll try to help." "Diane Welcome. Please read all the NOTES. They explain our policies, and how the software works. Join any groups that interest you. I especially recommend the IDENTIFICATION-HISTORY group. Its opening page has lists of resources, both online and…"
"Lesley Welcome. Please read all the NOTES. They explain our policies, and how the software works. Join any groups that interest you. I suggest the BOBBINLACE BEGINNERS group. You could post some of your work and your experiments, and our members…"
"Nancy Welcome. Please read all the NOTES. They explain our policies, and how the software works. Join any groups that interest you. If you have any questions, contact me and I'll try to help." "I have it. Lots and lots of eye-candy; even if you don't know a word of Swedish you can spend hours with this book. Lots of photos of historic laces give a really good idea of how metallics were used, a couple of dozen drawings of patterns and…"
"Winding bobbins using a string with a ring attached. https://www.facebook.com/kantcentrum/photos/pcb.2374054096160630/2374053989493974/?type=3&theater&ifg=1"
"Here is a lady using the palms up method of holding the bobbins to work leaf tallies on a bolster pillow. Interesting. https://www.facebook.com/fuchic/videos/812478505501606/"
"Has anyone seen this book? It looks like it might be relevant. http://www.mynewsdesk.com/se/uu/images/pm_knyppling2-65721?fbclid=IwAR3q4WC89CbMErTX4MG7Fx3jeDsW70CwXQlsTWpPA2kjsVUQbh__s8odRfQ"
I am an avid bobbin lacemaker, and love needlelace and pulled thread embroidery and Hardanger. 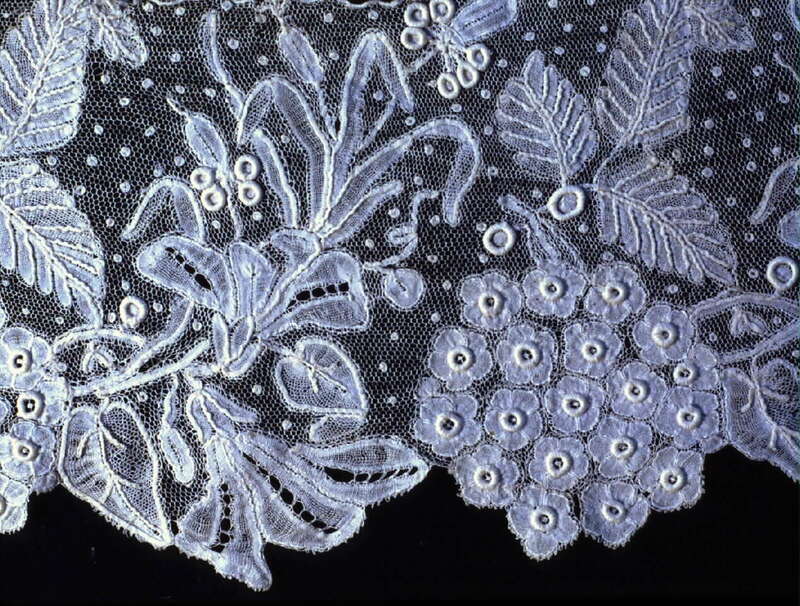 My website has free tutorials for needle lace, pulled thread work, Hardanger embroidery, and bobbin lace. 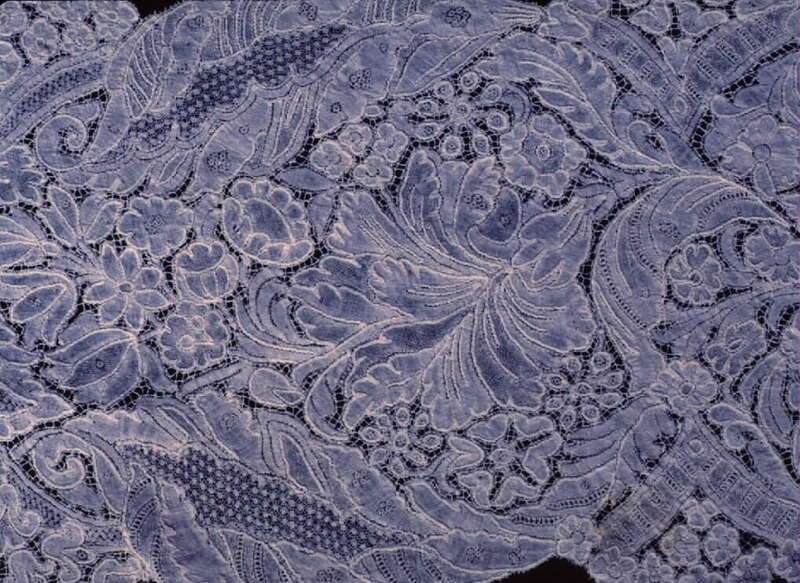 Also fascinated by lace history. This was in the collection of Elizabeth Kurella when I photographed it. See the whole thing at: http://lynxlace.com/bobbinlace18th.html 2/3 way down. #37. Brussels bobbin lace early 18th century.